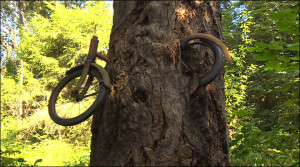 The bike in the tree mystery…. This link takes you to a lovely bike mystery with pictures. I have seen the bike/tree and it is a wondrous thing!